The truth is that quality, not carbs, should be your main focus if you want to eat for a long and healthy life. Just when you thought it was settled science that cutting carbs is the key to a leaner, longer life, along comes a new study suggesting almost the opposite. A team of researchers led by Sara Seidelmann of Brigham and Women’s Hospital recently analyzed diet and mortality data from more than 15,400 middle-age men and women tracked over a period of 25 years as part of the Atherosclerosis Risk in Communities (ARIC) study. Their main finding, as reported in The Lancet Public Health in August, was that subjects who got less than 40 percent of their daily calories from carbs died four years earlier, on average, than those who got between 40 and 70 percent of their calories from carbs. This is not the news you wanted to hear, supposing you are among the millions of Americans who have been swept up in the low-carb diet movement. The now-ubiquitous philosophy is perhaps most associated with Robert Atkins’ 1997 mega-bestseller “Dr. 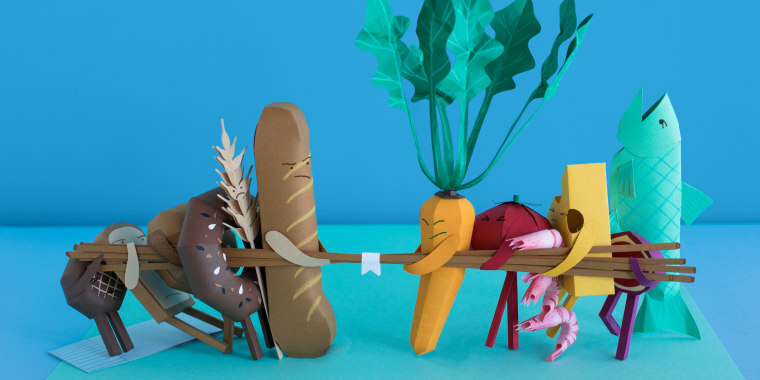 Atkins’ New Diet Revolution,” but has gone through a variety of permutations since then; the rival Paleo diet and the ultra-low-carb ketogenic diet both share a disdain for carbohydrates. This is not the news you wanted to hear, supposing you are among the millions of Americans who have been swept up in the low-carb diet movement. Indeed, more than a decade and a half of anti-carb messaging in diet books and online has had a significant impact on our attitudes and behaviors with respect to carbohydrates. In a 2018 survey conducted by the International Food Information Council Foundation, 24 percent of respondents reported that they were currently on some form of carbohydrate-restricted diet, and an almost equal percentage fingered carbs as the primary culprit in weight gain (with another 33 percent blaming sugar, a form of carbohydrate). To be fair, persuasive gurus and clickbaity headlines have mislead people into trying all kinds of radical diets, not just carb-cutting. And low-carb diet defenders will be quick to point out that prior research has demonstrated that low-carb diets can actually be beneficial. To give just one example, a 2005 study by researchers at Johns Hopkins University School of Medicine found that a period of reduced carbohydrate consumption lowered blood pressure and reduced LDL “bad” cholesterol in a group of 164 adults with prehypertension and hypertension. But in the long run, as the new ARIC study suggests, it’s the boring answer — eat in moderation — that always wins out. Like most studies showing health benefits resulting from carb cutting, the Johns Hopkins study just mentioned was short: only six weeks in duration. The long-term effects of low-carb diets, meanwhile, have remained largely an open question. The ARIC study, therefore, does not so much contradict existing evidence as fill a gap in information. Still, an open question is why low-carb diets may shorten lifespan. Another important feature of the Johns Hopkins study — and one which is also shared by many other studies of its kind — is that the low-carb diet used was carefully controlled by experimenters, with healthy, unprocessed foods providing the bulk of the carbohydrate and non-carbohydrate calories. In the real world, however, people often make unhealthy food choices in their effort to avoid carbs, eliminating wholesome high-carb foods like fresh fruit and going too heavy on meat, eggs and dairy. The fine print of the latest ARIC study indicates that such choices could make all the difference. Among subjects who got less than 40 percent of their calories from carbohydrates, only those who replaced carbs with large amounts of animal-derived fat or protein died younger, whereas the ones who picked plant-based substitutes (like nuts) did not. Now we’re getting somewhere. If a more balanced low-carb diet is just as life-sustaining as a diet containing more carbs, then perhaps it isn’t carbohydrates at all that determine the healthfulness of a diet. And it just so happens that the preponderance of existing research on diet and longevity supports this idea, suggesting what really matters is the balance of food types that make up the diet. If a more balanced low-carb diet is just as life-sustaining as a diet containing more carbs, then perhaps it isn’t carbohydrates at all that determine the healthfulness of a diet. Nutrition scientists have developed a variety of tools for measuring the overall quality of a person’s diet. A specific food type, such as vegetables, is considered high-quality if eating it regularly is associated with favorable health outcomes. A high-quality diet is one that balances the full array of high-quality food types in a way that produces the very best heath outcomes. Examples of such tools are the Healthy Eating Index, the Mediterranean Diet Quality Index and the Dietary Approaches to Stop Hypertension (DASH) score. While differing in some of their particulars, all of these measures agree on the fundamentals, categorizing foods like whole grains as high-quality and obvious junk like sugar-sweetened beverages as low-quality. Epidemiological research has consistently identified powerful links between high diet quality, longer life and lower risk of chronic diseases such as Type 2 diabetes. A 2018 review of past studies involving more than 1.6 million adults reported that diets of the highest quality (as measured by four different indices) reduced overall mortality by 22 percent. And it’s worth pointing out that these diets are not low-carb, for the simple reason that many of the foods they categorize as high-quality (e.g., fruit) are rich in carbs. But neither are these diets vegetarian, Paleo, or consistent with any other popular way of eating that eliminates entire food groups or severely restricts certain nutrients. To the contrary, a high-quality diet is marked by balance and inclusiveness, featuring all types of natural foods, from fish to healthy plant oils and eschewing only processed foods such as refined grains and sweets. Don’t believe the science? Scattered around the world are small areas containing populations that tend to live unusually long. These areas are known as blue zones, and scientists have shown that the people in them eat the way I just described. Take Sardinia, an island off the coast of Italy whose residents are more than 10 times more likely to live beyond their 100th birthday than are people in the United States. The Sardinian diet is diverse and natural, with beans, barley, olive oil, figs, sheep’s cheese and shellfish among its major staples. In 2015, while researching my book "The Endurance Diet," I took a cue from blue zone investigators and travelled around the world studying the diets of the world’s best endurance athletes in search of common patterns that other athletes could emulate in pursuit of better performance. I ate with Japanese and Kenyan runners, Dutch cyclists, Brazilian triathletes and Canadian cross-country skiers, among others, and I found that the vast majority of these athletes avoid unbalanced diets of all stripes and instead eat like blue zone denizens, with a focus on quality and inclusion. The recreational endurance athletes I work with as a sports nutritionist today, on the other hand, are far more likely than elite athletes to adopt extreme diets in search of better performance, often with disastrous consequences. If I had a dime for every vegan athlete who came to me with a diagnosis of iron deficiency anemia and every low-carb dieter who asked me to fix his or her chronic fatigue, I would drive a much better car. Eating for endurance fitness is not that different from eating for general health and longevity. Both require a robust cardiovascular system, a lean body composition and a strong immune system, among other physiological underpinnings. The big difference is that the stress of intensive training quickly exposes any weak links in an athlete’s physical well-being that may be related to unbalanced eating, whereas in non-athletes these weak links typically take longer to reveal themselves, often through disease. So, whether your goal is to run long or to be in it for the long run, it’s the quality of your diet that counts — and not carbs you should be counting. 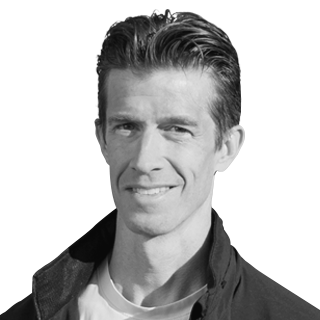 Matt Fitzgerald is an endurance sports author, coach and nutritionist. His many books include "The Endurance Diet: Discover the World's Greatest Athletes' 5 Core Habits to Look, Feel, and Perform Better."